, with head of Disney ESPN media sales and partnerships Nik Weber saying he hopes the broadcast will highlight the value of major American sporting events to advertisers. However, if you want to skip the football and just see the ads, keep an eye out here as we’ll be updating you with the best spots throughout the game. Skittles skipped out on advertising during the Super Bowl and instead marketed heavily around the event. It put on a one-off, 30-minute live musical during the game in Times Square Broadway. The Washington Post took out its first Super Bowl ad to defend journalism amid difficult times for the industry. The spot, which is over one minute long and narrated by Tom Hanks, shows footage of major events and includes journalist captured in conflict zones. Bud Light and HBO teamed up for a Super Bowl ad this year. The ad starts off as a Bud Light commercial, however, viewers soon become aware they're watching a promo for the final season of Game of Thrones. Verizon paid tribute to people serving on the front lines in its Super Bowl spot. The one-minute ad features first responders talking about their experiences in tragedies. Burger King released a no-fuss ad featuring Andy Warhol eating one of its burgers. The spot simply shows him unwrapping a burger and enjoying it with the #EatLikeAndy. T-Mobile fans will love the brand’s Super Bowl ad. Its spot revealed customers will receive free Taco Bell every week. Kia didn't engage in the battle for big names this year. Instead, it put money into the new 'The Great Unknowns Scholarships' programme to help young people in need to get a foothold in higher education. Toyota dropped its Super Bowl ad promoting its new Supra. In one of the creepiest Super Bowl ads, TurboTax aired its spot featuring RoboChild. Stella Artois aired its Super Bowl ad featuring Sarah Jessica Parker and Jeff Bridges. The stars brought back their iconic characters for the spot to show how easy it is for anyone to #PourItForward and do good. Olay has tapped horror film veteran Michelle Gellar for its ‘killer’ Super Bowl ad. It’s the first time the P&G-owned brand advertises during the Big Game. Expensify aired its Super Bowl ad featuring 2 Chains and Adam Scott. It’s the world’s first music video you can expense. When viewers see a receipt on screen they can pause the video and take a snap of it to be reimbursed with cash. Hyundai revealed its ad featuring actor Jason Bateman. In the spot, Bateman rides an elevator stopping at the highs and lows of life. Coca-Cola aired a pre-game ad promoting its message #TogetherIsBeautiful. The spot celebrates diversity, a marketing strategy many brands have been joining in the past year. The dating app is debuting its 'The Ball is in her Court' campaign at the 2019 Super Bowl. Starring Tennis great Serena Williams, the campaign was produced by an all-women crew. Bumble dropped the 30-second ad ahead of the game. 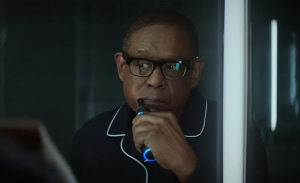 Amazon's ad featured celebrities such as Forest Whitaker, Harrison Ford and Broad City stars Abbi Jacobson and Ilana Glazer. Mercedes-Benz has released its Super Bowl ad, imagining a world controlled by voice-activation - just like its new car. The one-minute spot includes a brief appearance by rapper Ludacris. Volvo, which has never advertised during the Super Bowl, has shunned the game once again. However, this year it's pulled a cheeky move with a campaign to stop people from watching Super Bowl ads and instead look at its new S60 car on their mobiles. The challenge is simple, the three people who keep their eyes on the video the longest go in the draw to win. Pizza Hut has dropped its Super Bowl ad which will air during the pre-game broadcast. It features Abraham Lincoln in a series of videos promoting the chain’s $5 deals. Planters peanuts are advertising during the Super Bowl for the first time in more than 10 years. The brand released the ad, as well as an extended version, which features former US football star Alex Rodriguez. Pringles has dropped its 2019 Super Bowl ad. The spot is expected to air in the second quarter of the game and features an Alexa-like personal assistant which is sad because it’s unable to taste Pringles. Doritos has dropped one of the most anticipated Super Bowl ads this year, featuring 90s band Backstreet Boys and rapper Chance the Rapper. The end result leaves us feeling very nostalgic. Budweiser has released its Super Bowl ad to promote its products which are now brewed with 100% renewable electricity from wind power. The minute-long spot is set to the classic song ‘Blowing in the Wind’. Microsoft dropped an extended version of its Super Bowl ad to show how technology empowers people. The two-minute spot follows young gamers talking about how they rise to the top. Jeep released a ‘Big Game Blitz’ teaser video ahead of the Super Bowl. The two-minute spot features US band OneRepublic. Sprint dropped its Super Bowl ad featuring former baseball and football player Bo Jackson. Along with its Pornhub ad stunt, Devour Foods is releasing a Super Bowl commercial. The 15-second spot features a man dealing with a frozen-food addiction. The NRL is trying to promote the game in the US market with billboards across Atlanta. The signs feature the Sydney Roosters with the claim they are the 'World Champions' of football. Michelob Ultra has tapped singer Zoe Kravitz for this ASMR-inspired ad. The one-minute spot features Kravitz creating her own ASMR video, which have blown up over Instagram the past few months. Award-winning director Ridley Scott is returning to TV ads for the first time in nearly 20 years for Turkish Airline’s Super Bowl spot. The airline tweeted out a teaser titled ‘The Journey: A Ridley Scott Film’ to its followers yesterday. Pepsi has dropped its star-studded Super Bowl ad tackling the long-running question: is Pepsi OK? A one-minute and 30-second spot were released, both featuring Lil Jon, Cardi B and Steve Carell. M&M's revealed Emmy award-winning actress Christina Applegate will be the star of its Super Bowl ad. The spot was created by BBDO New York and features Applegate on a grocery store trip gone wrong. Canadian beverage Bubly released its Super Bowl ad featuring Michael Bublé. In the spot, which is the first time the singer has appeared in a commercial for the Big Game, Bublé is convinced the cans are named in his honour. Colgate is one of the first brands to drop its Super Bowl ad ahead of the game. It features actor Luke Wilson. The brand first advertised during the Super Bowl in 2016 and is back this year with a 30-second spot created by WPP’s Red Fuse Communications. Pringles has released three teaser videos for its 2019 Super Bowl commercial. The spot is expected to air in the second quarter of the game and features an Alexa-like personal assistant who is sad becuase it’s unable to taste Pringles. Hyundai has released more details about its Super Bowl ad, with Jason Bateman set to feature in it. The brand is expected to run a 60-second spot in the first quarter and a 30-second spot in the pregame show. Audi is running a 60-second spot that focuses on its electric car range. While not much detail has been released, we can expect to see work showcasing its first all-electric car, the e-tron SUV, it recently released. Venables Bell+Partner worked with the brand to launch its electric range last year. Gerard Whateley is heading back to the Big Game after becoming the first Australian to call a Super Bowl on radio in 2018. Whateley returns to the microphone on 4 February on 1116 SEN with all the action from Atlanta. The call will also be heard on 1629 SEN SA and on Macquarie Media’s News, Talk Sport DAB+ channels in Sydney, Brisbane and Perth. Super Bowl day is finally here and we’re tracking all the best ads to come out of the Big Game. Over the past two weeks brands have been dropping their commercials. From Doritos with Backstreet Boys and Chance the Rapper to Pepsi with Cardi B, Steve Carell and Lil Jon - there’s been no shortage of big names. The game is airing on CBS in the US, with the network reportedly charging US$5 million for a 30-second spot. It’s the first time ads will run on air and on the livestream of the game, with advertisers previously having to purchase ads for each platform separately. Australian viewers can watch the action on Channel Seven. International sports broadcaster ESPN is also airing the game locally, revealing that it will be producing an exclusive live broadcast of Super Bowl LIII, as well as announcing a raft of key advertisers. AdNews spoke to ESPN about its coverage of the game, with head of Disney ESPN media sales and partnerships Nik Weber saying he hopes the broadcast will highlight the value of major American sporting events to advertisers.